declared a human right in a Guatemalan town not far away. Image courtesy of Animal Ethics. We're communicating with a craft on Mars, but I've been having internet problems here on Earth. I live in a rural part of Belize, so am probably lucky to have the service in the first place. But it costs me. I paid a $500US connection fee, and pay $65US per month (which includes rental of a wireless router). This is for 256K speed, which is really really slow - think dial-up speeds. It makes watching video almost unbearable, downloading painful, and uploading anything nearly impossible. Add to this the intermittent power outages that also take down service, and the extreme weather that keeps people at risk of surges. I'm on my 5th router in about a year, and I religiously unplug my power strip every night. Each time I've lost my router due to a storm (or something), it has taken a minimum of 2 days to get service back up and running. I have to just keep telling myself that I'm lucky to have internet service at all. First, Belize was one of only three countries still offering speeds of less than one meg; in Belize the lowest speed that you can purchase is 128k - only Dominica is lower with 64k. Second, the price for 256k in Belize - 51 US dollars monthly would buy you 1 Megs in Anguilla. 1 Meg is about 300% faster than 256K. Third, the maximum speed available in Belize is four megs - when in many other territories it is eight or nine megs. And the survey shows that in Belize, you'll pay the second most in the region, 436 US dollars for those four megs - when you can get twice that, 8 megs in the Bahamas for just 70 US dollars. Perhaps internet speeds are something that could be argued aren't that important, and we should all be thankful just to have internet access in the first place. Well that would be great, except, I'm one of the lucky few here in southern Belize with that access. According to the 2010 Belize Census, in a district of nearly 40,000 people, less than 4000 are reported internet users, or just under 10% of the population. When 40% of the population lives in poverty, and over 17,000 people are unemployed (that's over 40%), paying over $50US for internet service is just out of the realm of possibility. The concepts of community and sharing are entrenched in the daily life of indigenous people in Guatemala. Common spaces, open doors, collaboration and sharing are the main characteristics of these communities, especially among small linguistic communities such as the Mayan Tzutuhil indigenous group in the Highlands of Guatemala. As cultures evolve and adapt to new discoveries in science and technology, indigenous cultures are embracing new technologies and adapting their use to accord with traditional principles. Such is the case with Internet access. It's unclear how free internet access will ultimately affect the community, but it will readily facilitate people from this remote town on the shores of Lake Atitlan to more easily communicate with the rest of the world. Local youth have already begun a TV & web program that allows for discussion of local concerns like recycling and ecological issues. In such a historically poor and repressed region, having immediate access to global allies and friends may come in handy in times when others of their rights need protecting. 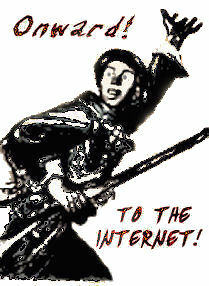 "Has it occurred to you all that perhaps the fact that the internet being cheap or whether it is expensive and the existence of large corporations are inter-related that when you have inexpensive internet it drives economic and corporate growth and when you have expensive internet its retards that growth." The executive replied by blaming the global recession and an ill-prepared workforce for Belize's economic problems, and basically sidestepping the question. As in most of the rest of the world, money rules the day here in Belize, and if you're poor, that's your problem. At least when it comes to luxuries like the internet. But should access to the internet be universal? Should access be a human right? in our country the telecommunication companies also provide internet via mobile signals (guess its higher technology?) it works for both mobile access, and as a modem for pc with your purchasing of a receiver usb (works wherever u have signals from the network). strangely people in my country invest in mobiles (both for phone functions and other things) and ways to access internet whatever their income is. so the mobile companies serve cheaper in time, as the service usage gets higher and higher each day... maybe the companies' investments depend on consumer habits or population. free internet in all homes? you will still be paying for the cost of the infrastructure or maintenance somehow, probably as a tax... just like water or electricity bills. but public serving cafe's could be a resolution for immediate need or computer rooms for study or recreational purposes could really be of help. i feel like the internet (not necessarily, but as a risk) brings one some kind of lazyness... that "everything is ready on your hands" feeling. i think it definitely affects the society in broader ways that you could sum up to being good or bad. has a way of addiction too... also part of your life passes to be able to tell between junk and good info. inevitable advertisements... losing your own culture to swap it with some global monoculture (not sure how to name it) even if you resist. sometimes i wish i was less of an internet dependent person. it probably have a lot of health risks too. internet addiction is a big issue among teens around here. the question asked about the economic growth, at first i thought it was a positive remark so that the lagging of internet cheaper technologies slows down the corporate growth a bit.. then i realized its probably considered negative... can't help but think about the inevitable end of a so called "developping" country. Both of the commenters above refer to what can be viewed as negative aspects of the internet: the fomenting of a kind of laziness, and the reduction of face-to-face communication. I think these are both valid criticisms, but they don't really address the question of whether access to the internet should be a human right, especially where poor and marginalized populations that have little to no access are concerned. It's presumptuous to assume that different populations will "fall victim" to the same issues as those more entitled. Shouldn't everyone have the chance to use this tool as they see fit? I see this as especially so when we consider that those with power and money have ready access. To create a slightly more even playing field, universal access to the internet would help. The fact that the local youth in Lake Atitlan have already taken to using the internet to increase discussion of local issues highlights the power of having access to an online connection. Yes internet has created a generation of people that are lazy and may have a hard time interacting with humans but there are many good things the internet has done. 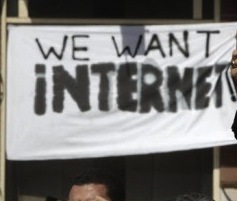 For that reason and that reason alone internet should be a human right. Thanks everyone for your thoughtful comments. I think Victor summed things up nicely as far as where I stand on the issue. As it is now, access to the internet remains a reality for primarily the wealthier nations and peoples. True, there are certainly negative effects that can be observed from the proliferation of the internet, however, one could argue that there are an equal number of positives that have resulted from the technology. This, I think, belies the issue however, as access to the internet has proven to be an equalizer of sorts for marginalized populations which have traditionally not had a voice at the global table. I'm thinking here not only of the example of the Guatemalan youth in the above article, but also of a movement like that of the Zapatistas in Mexico. The potential for catalyzing change, justice, and equality is why I think the access should be a human right, regardless of the challenges inherent in making that a reality. guess the thing is mentioned, demanded and appreciated as a "human right" where there are restrictions or lack of facilities, despite the need... and guess you guys are right in terms of common direction of the evolution of human, tools forming and developing its capabilities and intelligence accordingly and the potential it brings.. Thanks for sharing your thoughts on this zö - we always appreciate your perspective! As you mentioned, there will be challenges to overcome if access is going to be provided around the globe, and the results very well may be scary! Let's hope we, as a global community, can figure this out and turn it into a positive!